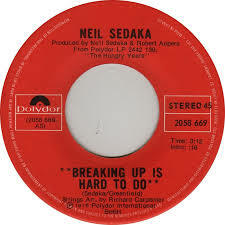 Now, before you jump to any conclusions and think I am breaking up with my wife, Carmen, or worse yet, that I have become a Neil Sedaka fan, let me assure you neither of those horrific things is true! Over the last several months, I have been struggling with the decision to leave a job that I love and to embark on a journey down a new stretch of river. Yes, I am leaving the role of CIO for Goodwill Industries of Central Indiana to join Bluelock, an Indiana tech company that provides Disaster Recovery-as-a-Service (DRaaS) infrastructure and services, as EVP of Product and Service Development. So, after 35 years of being in Corporate IT, the last 10 of which as CIO, I am switching sides of the desk and joining a firm whose product IS technology. Now, mind you, I absolutely love Goodwill. I firmly believe in the mission, I love the vision and direction, and will continue to support the organization with my time, talents and treasures as best as I am able. However, as sad as I am to leave this organization, I am just as excited about joining my new organization and pushing off to paddle into the unknown (note the veiled Lewis and Clark reference). How I came to this decision reminds me a lot of how Carmen and I came to the decision to marry. You see, we had been business colleagues and friends for years. As we each went through our divorces, dating, bad break ups and more dating, more break ups, we started to hang out together more and more. We celebrated the highs of new relationships, shared the laughs of life’s journey and held each other through the tears of another break up. I can’t tell you how hard we laughed, when a well intentioned Maitre D’ seated us at “our most romantic table”. Oh, my god no! We are just friends! Even our friends got in on the act, saying, “You should date Carmen” or “You should date Jeff”. OH. MY. GOD. NO! We are just friends! We don’t want to ruin our friendship! A few months later, while sitting on her couch, we looked at each other and asked, “So, when did we start dating?” The rest, as they say is history! A match made in heaven, a match with a foundation of friendship, a match of kindred souls. I have been joking for a couple of years now that if I ever left Goodwill, I would join Bluelock. Maybe subconsciously I was only half joking. At any rate, early in January this year, the CEO of Bluelock and I met for breakfast. Honest, we were just friends! Actually, we were client/provider. We ended up having a great conversation about business, technology and transforming a startup to steady-state. The conversation went so well, we decided to meet again to continue the conversation. As great as the opportunity sounded, I was conflicted. I had spent 25 years of my 35 year career aspiring to be a CIO, now I was going to walk away from it? Not to mention, I would be switching sides of the desk, moving to the dark side, becoming an evil vendor, would my friends and colleagues still return my calls? I had spent the last several years building a network of CIOs and IT leaders (Indy CIO Network), could I still lead that group effectively? I reached out to my trusted advisers: my wife, my mentors, a couple members of the Indy CIO Network, my executive coach, and my dad. Each and every conversation reinforced what I was thinking and feeling, one by one they helped me answer all of the questions swirling around in my mind. Before my most recent coaching session, my coach (Dr. Dan Miller) came into my office and said, “come on, we’re going to do something different today.” With that, we walked to the corner overlooking the river. Just as our friends were right many years ago, he could not have been more right about this. So, as I wrap up my last few days at a great organization, with fantastic people, I look ahead to joining a great organization, with fantastic people. I am excited about the waters ahead! Want to exchange ideas on Twitter (@jtonindy)? Expanding your circles on Google+? Read more of my musings on LinkedIn. Interested in IT and it’s role in business? Check out my posts on Intel’s IT Peer Network. /jst/wp-content/uploads/2019/01/Jeffery_S_Ton_340x156_darkblue.png 0 0 Jeffrey Ton /jst/wp-content/uploads/2019/01/Jeffery_S_Ton_340x156_darkblue.png Jeffrey Ton2015-10-09 07:42:592019-02-15 16:37:52Breaking Up is Hard to Do! Fare thee well to a great CIO. You will be sorely missed. Beautifully written . . . from your heart! Best wishes on a new path! I never knew you were such an excellent writer. Maybe a book is in your future. I would be happy to edit the book for you especially if it is as interesting as what you wrote above. Also, congratulations on this new endeavor. I know you will do a fantastic job for Bluelock. Thanks Kim! One of my goals is to author a book! Thanks for the offer to edit! Perhaps over martinis!! Jeff, when I came to Bluelock, everyone said, you have to meet Jeff Ton. You embraced me from the very beginning as the “newbie” at Bluelock and for that I thank you. I cannot wait to begin working with you and building something we can both be very proud of! Congrats! Congrats on your new gig Jeff, and good luck in your new adventure! Good luck in your new venture Jeff!